After our lunch at Isdaan in Gerona, we were supposed to visit the Aquino Center. Unfortunately, the museum closes at 2:00pm on Sundays. 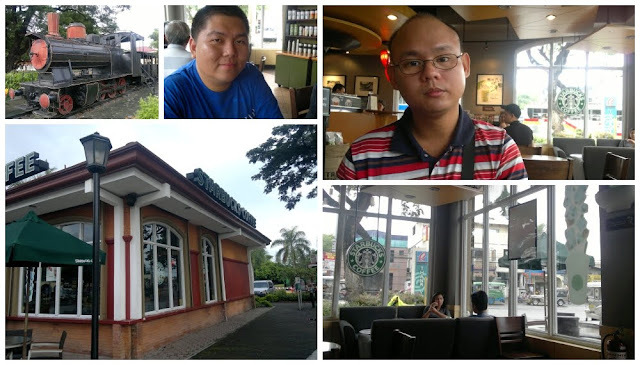 Before heading back to Manila, we stopped by Starbucks Luisita for a much needed dose of coffee. The baristas instantly noticed that we were from out of town. Coincidentally, one of the baristas used to work at a Starbucks branch in Ortigas Center, Pasig City (my hometown). What a small world. They also served free samples of the Black Sesame Green Tea Cream Frappuccino. Yum-yum!